CAS praised the French fighter aircraft Rafale as an excellent aircraft with multi-role capabilities and also stated a requirement of 200 more aircraft in medium and light categories over next 10-year period. He stated his personal preference for twin engine to cover the varied geographies of our county. 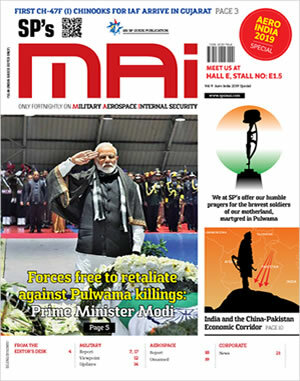 He called the indigenous manufacturing of C295 versatile tactical airlifteras a land mark decision involving the India private partner and mentioned that the CNC will start very soon. 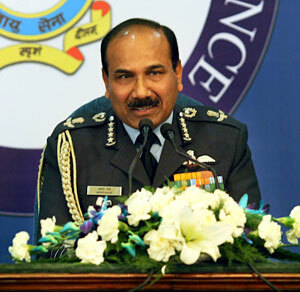 The outgoing Air Chief touched various points during his address summed with the achievements and setbacks accrued during his 29-month tenure. Setback: The first setback for IAF was the Pathankot terrorist attack. A lot of suggestions and recommendations have come up and those are been implemented by the Ministry of Defenec (MOD), Government and IAF. We have learned our lessons and I think today I can summarise to say that we are very well prepared to tackle terrorist attack through organisational training, better equipment, better infrastructure and better preparedness. The second setback for the IAF was the missing An-32 aircraft at the Bay of Bengal in the monsoon season which had 29 persons on board. Unfortunately despite of efforts –both air efforts as well as surface and sub surface efforts and sea efforts – we could not trace the aircraft. Since, these 29 personnel of Indian armed forces remain untraced and missing, we are looking after their families or the assistance that can be given to in terms of financial or otherwise, are being done. So that was the tremendous setback one of the worst memories in my service. At the armed forces, we had some setbacks in the terms of OROP, which resulted in situation wherein the esteem of the armed forces had been affected and I as the senior most person in the armed forces uniform I could not really stem that situation and resolve those issues adequately. The recommendations have gone to the government and I am sure government will implement those recommendation. The other issue had been the Seventh Pay Commission, the anomalies which cropped up in the transition from Sixth Pay Commission regime are getting resolved with involvement of people in the ministry – our Raksha Mantri himself and other stakeholders – I am sure they will also get resolved soon. Achievements: Coming to the achievements I would say that, our main focus was on capability building operational preparedness in terms of operational preparedness we had situation where our combat fleet, fighter aircraft fleet where building numbers because of obsolescence so we paid lot of attention towards main acquisitions and upgrade of the legacy aircraft, the aircraft which have already served IAF for over 20years. Quite a number of administration cases have been signed in the last two-and-half-years or so including the Rafale aircraft. 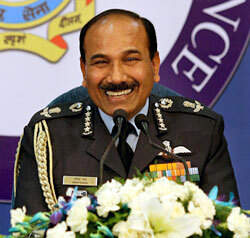 36 Rafale aircrafts are coming of the shelf and will be here in India and operational within next three to five years. The indigenous Light combat aircraft (LCA) Tejas have been inducted already. We have three aircraft now flying in front line squadron and we are going to accept 123 such aircraft over the next 10 years. It will give lot of boost to the indigenous product for strategic independence of the nation. Capability wise, we are going to see a lot improvements in the form of Tejas Mach I.3.We have inducted C-130, and second squadron of C-130 will be inducted soon at Air Forces station Arjan Singh or Panagarh by March-April 2017. We have in operation large number of Mi-17, Mi-5. Helicopters contract has been signed for Apache helicopters and Chinook helicopters and some more are in the process to be signed. A large number of air missiles and radars have been inducted, most of them indigenous. The network-centric warfare capability that we have generated within our own resources that is indigenous. IACCS (Integrated Air Command & Control System) has got terrestrial network, Aerial network and of course space network. So overall to my mind we have done reasonably well in terms of capability building to look after the entire spectrum of threat conventional threat i.e., terrorist threat, conventional conflict, non-conventional threat, nuclear threat, etc. As far as training, operational training is concern we found that our combat fleets were not very good, so lot of equipments have been made, lot of contracts, revenue cases of spares/aggregates etc which were languishing for very long have been signed because of cooperation and intervention of MoD as well as our own pro-activeness. The service is improved by 5 per cent to 7 per cent in most of the cases. We have also done a lot of flying. Average flying we have done in last two years was 40,000 hrs more than the average of last 10 years, which I think is, a very substantial jump. That was possible despite retiring many old aircraft. The squadrons have flown even more fighter planes compared to previous 10 years because of better serviceability better rate of exploitation. The 40,000 hrs that we have flown has increased operational categorisation of our air crew, combat crew, substantially. We now have a scheme to judge the professional abilities of each and every officer and crew, this system is going to enhance our professional capabilities. We have large number of air warriors and airmen trying to upgrade their skill categorization to skill A, so there have been a lot of improvement in professional capability of each and every future individual of IAF. We have learned our lessons and I think, today I can summarise that we are very well prepared to tackle terrorist attack through organisational training, better equipment, better infrastructure and better preparedness. Jayant Baranwal (JB): How do recall your best and the worst moments as the chief in your tenure? Arup Raha (CAS): I have already mentioned in my tenure as a chief the worst moment was when I came to know about the missing An-32 that involved the 29 lives. Unfortunately we could not trace the aircraft we are still heavy on my heart. JB: what is the status going on what is the latest about An-32? CAS: An-32, we have searched for and we had sent about more than 300 sorties, we have done close to more than 1,000 hours in that area. We have used surface ships to do lot of search with the equipment on the surface as well as sub surface sea. We could find out about 30 odd targets, I am calling it target because they look like similar in shape and size as the An-32 at the bottom of the sea at 3.5km depth, looking at the depth is very difficult. As of now we do few sorties now to see the surface of the sea if there is anything. Unfortunately the An-32, like most of the Soviet or Russian aircraft did not have the underwater locator equipment. We have taken up the case for procurement of ELB (emergency locator beacon) and ELT (emergency locator transmitter). So that is in process and I think in two to three months we will have the contract for the all the aircrafts to be equipped with ELBs and ELTs. JB: You did not speak about the air to air refuelling capability. Around the mid of the year the tender was cancelled. How do you perceive the tenders cancelled? CAS: Air-to-air refuelling is very important force enhancers, force enabler and we have Il-78, which have served us well, though its availability is not too good because of the maintenance problems, etc. We require much more for our commitment, be the eastern sector, the western sector and over the seas of Andaman& Nicobar Command. So we thought, that this case was a progressive case and will go through because of strategic requirement and operational capability requirement but unfortunately there has been some problem areas in this acquisition process. Very unfortunate but it happens, our procurement process is slightly time consuming though it has accelerated in recent time. We are looking forward to the new ones and contract will be signed at the earliest possible manner.